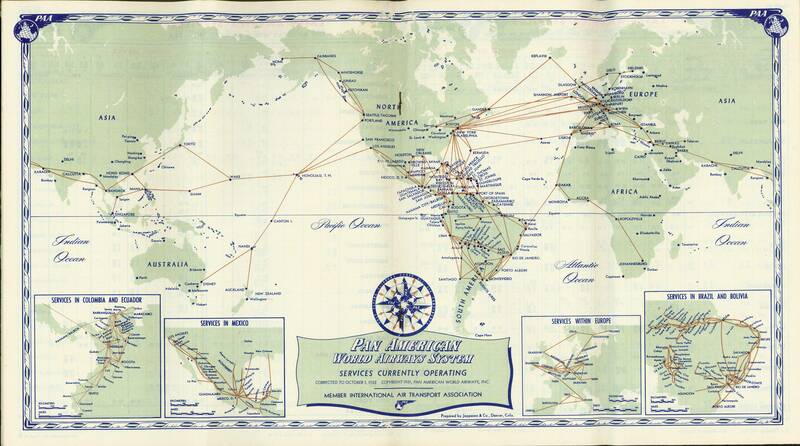 We unearthed this cool 1955 map of the international flight services Pan Am offered at the time. While it’s easy to tell how much new airplane technology changed the way we travel around the world (Wake Island refueling stops are no longer necessary) – it’s also interesting to contrast just how much the scope of our modern travels have increased. Look at Pan Am’s offerings from 1955 then check out our Interactive Content Map which features over 460 airlines along 86,079 routes to see the progress we’ve made since the Golden Age of travel. What do you think our Interactive Content Map will look like in another 50 years?